Constituents: bitter compound (cnicine), alkaloids, mucilage, tannin, small amount of essential oil. Blessed thistle is a bitter tonic, and as such is an excellent digestive herb to use as an apertif to prevent gas and bloating from eating a meal heavy in fats. Blessed thistle herb is also considered a depurative, having diuretic and diaphoretic properties; these actions help to purify the system and rid the body of toxins. 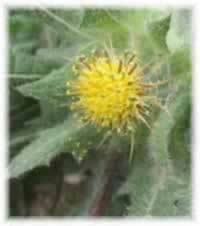 Blessed thistle's medicinal actions help give support to the liver and help it to repair itself. 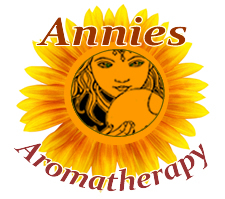 Blessed thistle is a traditional tonic for women. Dong quai and wild yam, along with other estrogenic herbs can be used in combination with blessed thistle to treat menstrual difficulties and other conditions where a woman's hormones need to be brought back into balance. One of the traditional uses for blessed thistle in herbal medicine is that of a galactagogue, an herb that stimulates a mothers milk. Preparation Methods & Dosage :Traditionally taken as a tea, also used in extracts. Take a half cup hot, before heavy meals to aid digestion. It can also be applied externally as a poultice herb to treat chilblains. 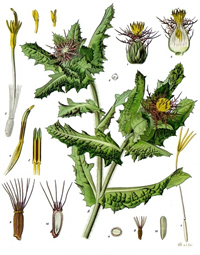 A handsome annual plant, thistle grows about 2 feet high, is reddish, slender, with pale yellow flowers. Do not confuse blessed thistle with its cousin, milk thistle Cardus marianus, both thistles share the common name Holy thistle, along with many of the same properties and uses, but they are two entirely different plants, from different plant families. NIH. (), National Cancer Institute . "Definition of Blessed Thistle." Blessed thistle may have anti-inflammatory and anticancer effects. The scientific name is Cnicus benedictus. Also called cardin, holy thistle, spotted thistle, and St. Benedict's thistle.